There are many quotes relating to seeds. However, this one from Genesis reflects the truth of seeds: Seeds are the genesis of life. Every healthy seed contains the spark of life. 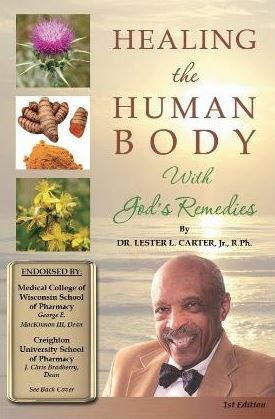 In our bodies, that “whole, fresh, and lively” vitality is translated into nutrition and energy. We eat many kinds of seeds. In reality, they are the basis of our food intake, taking the form of beans, cereal grains, pseudo-grains like quinoa and amaranth, nuts, and the small seeds we discuss here. This latter category, small seeds, has been gaining popularity among health conscious eaters over the last decade. The trend began with the popularization of the flaxseed, one of seven seeds covered in a recent issue of Nutrition News. 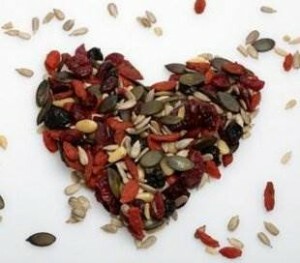 There is only one reason – besides possible enjoyment – to integrate seeds into your life and that is nutrition. These little dynamos are powerhouses of nutrition. Ounce per ounce, they outdo any other whole food you could name every time. Sunflower Seed – Here is the original health food seed. In the 60s, “health nuts” joined parrots in nibbling this delicious, nutritious seed. Many were the sore lips from cracking dozens of salted hulls. Today the seeds are universally available in this form (and are a favorite diet food). Plus, they are easy to come by hulled, raw, roasted, dry roasted, salted, no salt, organic or not. They are a staple at our house (hulled, raw, unsalted): on oatmeal, in granola, on salads, and by the handful. We love them! Called “The Amazing Kernel”, according to research completed by Dr. K. Phillips of Virginia Polytechnic Institute and State University, sunflower kernels have been shown to protect against cardiovascular and other diseases and to contain antioxidants and anticarcinogens (anti-cancer). In particular, sunflower seeds are rich in vitamin E, betaine, phenolic acids, choline, arginine, and lignans. In addition, they have an exceptionally high phytosterol content and are a good source of magnesium as well. In 2008, Science News reported that a mini-protein from sunflower seeds could be the key to stopping the metastasizing of tumors in prostate cancer patients. Jonathan Harris, who conducted the study, commented that the spread of cancer to the spine is far more deadly than the originating tumor. A second study from the mid-2000s showed the potential of a rare substance from the sunflower plant (DCQA) to interrupt the reproduction of the AIDS virus. Attempts to follow up on this study showed that work is being done to isolate the action of DCQA, leading “to the discovery of more selective and potent inhibitors in the future” (i.e., drugs). Flaxseed – This is the seed that launched a thousand seedeaters. According to Katherine Zeratsky, R.D., L.D., writing for the Mayo Clinic, “flaxseed may help lower total blood cholesterol and low-density lipoprotein (LDL, or “bad”) cholesterol levels”, both of which help reduce the risk of heart disease. Flaxseed also works to stabilize blood sugar. Zeratsky reinforces our contention that flaxseed is best used when ground before eating. Because of its high fiber content, flaxseed should not be taken at the same time as medications or supplements. Also, be sure to drink lots of water when eating any high fiber food. Incidentally, flaxseed helps maintain regularity. The flax plant has been used since antiquity to produce linen cloth. More recently, before flaxseed was processed as food, it was called linseed. Industrial linseed oil remains popular as a preservative for wood. Also, at one time, the gelatinous substance achieved from soaking the seeds was used to “set” hair in curls. What are the top ten nutritional supplements for women?